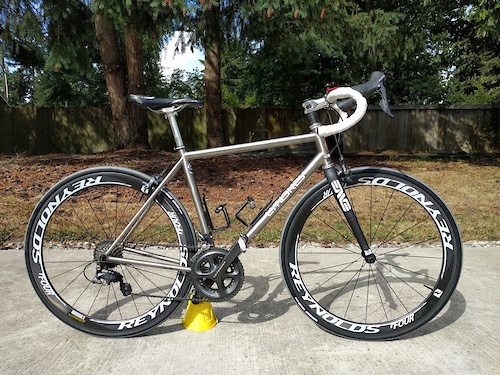 Up for sale is my Lynskey Peloton frame, Enve 2.0 fork, Cane Creek 40 headset. It's in excellent condition. I just decided to switch to a Helix. This frame is a dream to ride. Relaxed geometry and the forgiving titanium property means it's easy on the back/body on those long rides. Plenty of head tube length so configure it the way you like. A lot of wonderful details and made in Chattanooga, TN! Size small which means a 53.5cm top tube. 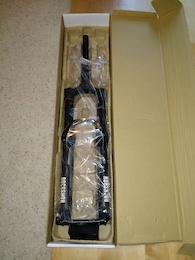 Brand new in box Rockshox PIKE RCT3 Never installed. 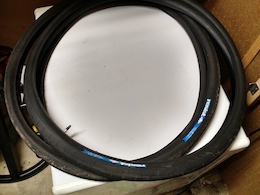 Fits 26" wheels 160mm travel Tapered Steerer (uncut!) Solo Air 15mm axle A comeback has never been so amazing. After taking a few years off, PIKE comes back in the RockShox lineup, as the ultimate trail fork. Your trail could be a silky smooth ribbon of singletrack, or a rock-infested goat trail in the Alps. Either way, there is a PIKE for you. Resist Nomad 700c x 45 (fits 29er wheelsets) Great slicks to transform your 29er into a city slayer. 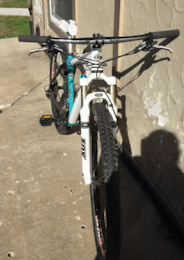 Used for less than 50 miles and sold the bike. 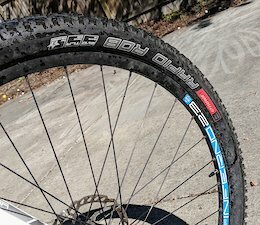 Was installed on a set of Easton 29er wheelset. Comes with the inner tubes.